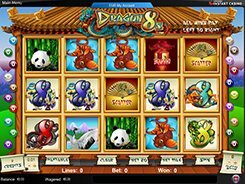 Dragon 8’s is a Chinese themed video slot fitted with 5 reels and 20 fixed paylines. 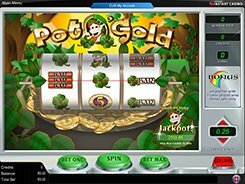 The game features a wild, a scatter, a bonus symbol, and a massive $125,000 jackpot. On the reels encased inside a big pagoda you will encounter an array of Oriental symbols, including dragons, eights, koi fish, pandas and other beautiful symbols that are based upon a Chinese theme. 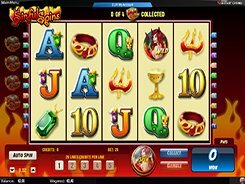 You may change a coin value between $0.01 and $0.25 and place up to 10 coins per each of the lines, therefore the minimum and maximum bets are $0.2 and $50 per spin. 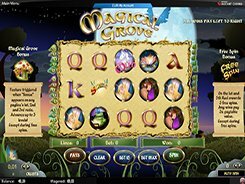 The slot has a Bonus symbol (Lantern) that triggers a free spins feature. 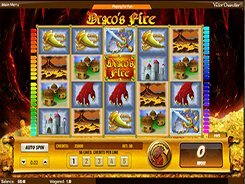 Once you spin in three or more Lanterns anywhere, you are invited to pick one of six lanterns to determine how much free spins you get (up to 7) and then select one of six coins that will reveal a multiplier (up to x6) attached to the free spins. There is a scatter symbol (Fan) that does not trigger any bonus events, but pays out scattered wins if 2 to 5 occur in any position. PLAY FOR REAL MONEY!